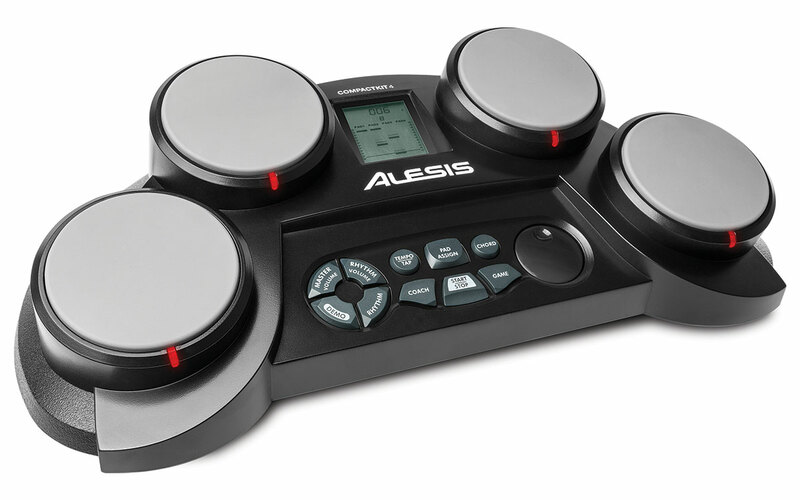 The Alesis CompactKit 4 is a tabletop electronic drum kit with everything a young drummer needs to sharpen their skills on their way to stardom! Four velocity-sensitive drum pads deliver realistic drum sound with the feel and response of real drums. There are dozens of built-in songs and rhythms, so any young percussionist can start playing along with the music right away—no need to wait for “the band” to come over!